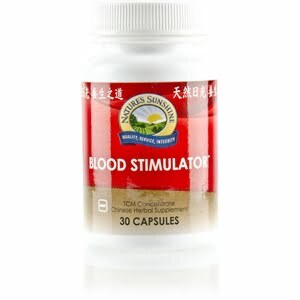 Nature’s Sunshine Blood Stimulator (Build) TCM Concentrate blends 18 Chinese herbs to promote healthy circulation and blood. The same formula as Blood Stimulator TCM but in a highly concentrated form, this combination strengthens a weakened wood constitution. Known in Chinese as bu xue or “nurture the blood,” it nourishes the blood, the liver, and the glands while supporting overall circulatory health. 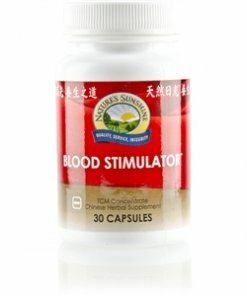 Blood Stimulator TCM may also boost the immune system. Instructions: Take two capsules with a meal daily. For best results use with I-X and Skeletal Strength. Each capsule is equivalent to 5 capsules of regular Chinese Blood Build combination. TCM denotes Traditional Chinese Medicine.